Winclone allows you to clone your Boot Camp partition. It also includes Windows 7, 8.1, and 10 cloning! Winclone is the most complete solution for protecting your Boot Camp Windows system against data loss. 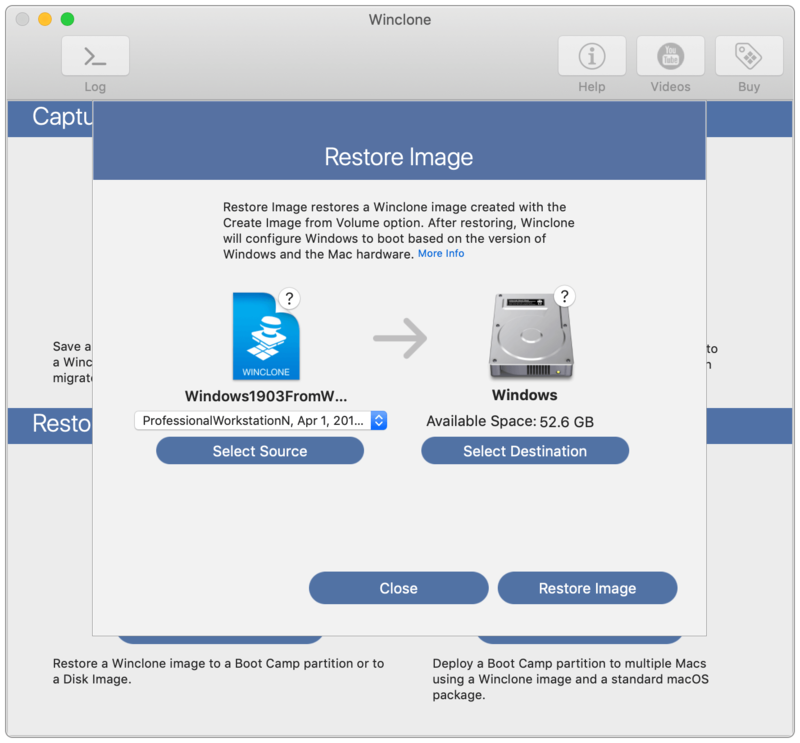 Winclone is the most reliable cloning solution when migrating Boot Camp to a new Mac. The all new Winclone Backup feature provides scheduled, incremental snapshots of your files so you can retrieve earlier versions or accidentally deleted data. Winclone Backup is included with every edition of Winclone 5. Updates postinstall script for package installs of Winclone images from the recovery partition (MDS support). Winclone is now notarized and stapled.